When Bandersnatch debuted over the holiday break, I was so excited that interactive, choose-your-own-adventure filmmaking was finally coming to the masses. I had to write about my experience as well as other exciting things going in this space, so I wrote a Medium article called Choose-Your-Own-Bandersnatch. It has been a busy start to the year. I was in South Africa for January, Florida for March and London for May. Some exciting projects coming soon and a brand campaign relaunch for Yuengling (America’s Oldest Brewery) just debuted. It features a few thirty-second TV spots, social media content, print and more. I also directed a really cool TVC for the Mega Red Pill. We used 5 Ultra-HD projectors to create an all in-camera dance and projection mapping spot. A lot of behind the scenes work went into creating this one. Original music by Future Perfect, choreography by Simeon Qsyea, projection by Projection Artworks and animations by Found Studio. It’s been a fun close of the summer as we move into fall. Back in July, I shot a great campaign for Ultimate Ears. Featuring a variety of unique people and set to a musical mashup by Alex Goose, it’s a fun campaign that I am really proud of. I also worked with the PIA Agency and HP to create a very timely spot about visual hacking. Think about this next time you are on your devices in public spaces. It’s always fun shooting on the airplane stages. We wanted a ‘Virgin America’-ish mood lighting, and I love how this came out. A subject matter that means a great deal to me and to the world is now in the works to be a cutting edge VR experience. It was announced at Sundance that we will shrink you down to the size of a honey bee, website like this treatmentso you can experience the plight of the honey bee, page saving them in the process. The project was also just announced as one of Vive’s VR for Impact grants. After spending a year making a feature film, visit I came back into the advertising industry with fresh eyes. I had to put all my thoughts into how the ad industry could evolve into an article for Adweek. It was a therapeutic way of trying to make sense of everything I was feeling – Basically, Why It’s Time To Kill Advertising And Start Building Storyworlds. For those who follow me on Instagram, you already know I cook a lot of eggs. I love cooking in general, but for some reason, I have a love affair with breakfast. I compiled a visual poster of every egg that I have personally made or eaten over the past year, as posted via Instagram. 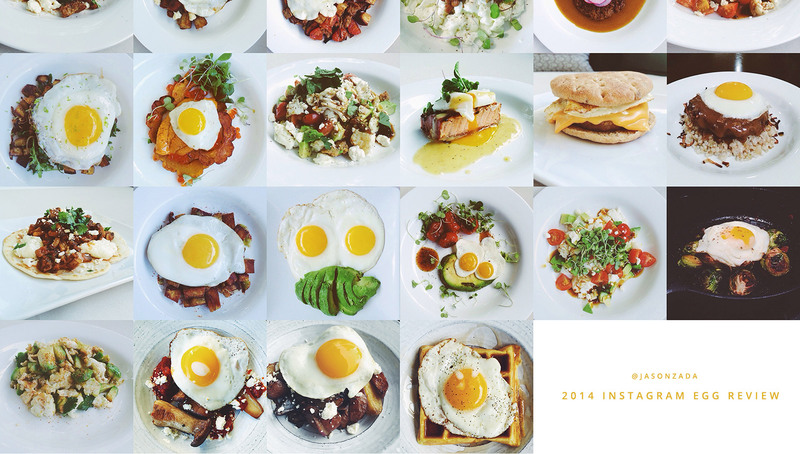 Click here for the FULL version of the 2014 Instagram Year of Eggs.